Understated and modern, this wedding dress by wedding dress designer Stella York is unlike anything brides have seen before. Clean and elegant, this dress is made of matte Mikado and Royal Organza fabrics, which gives it a timeless sensibility. 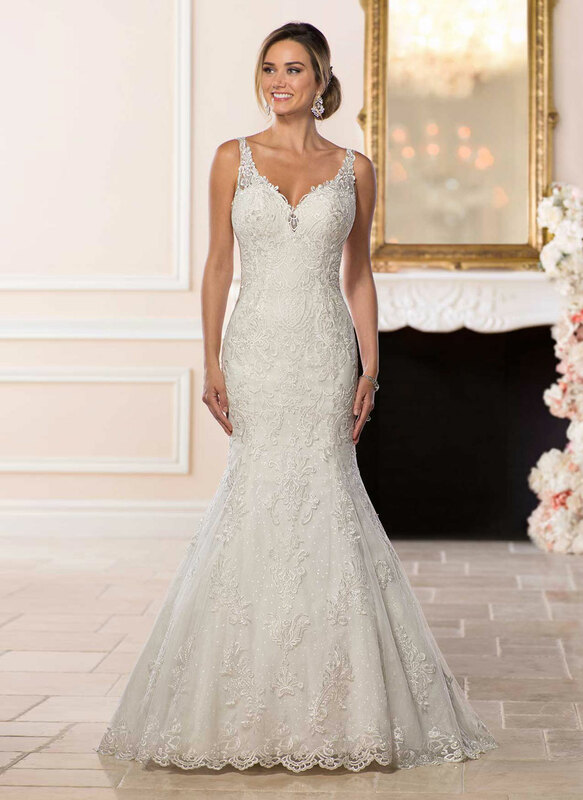 The strapless bodice features a sweetheart neckline and visible, angled seaming which sculpts and shapes. 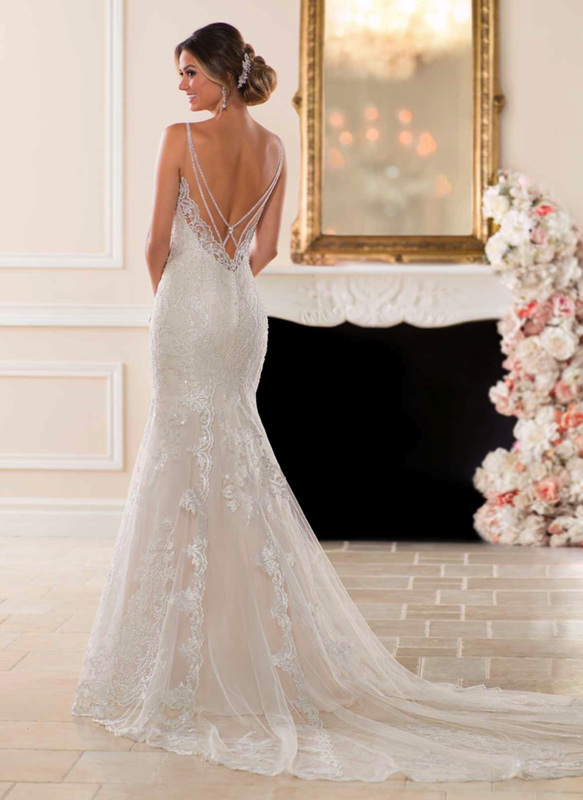 The back of this dress is the real showstopper. 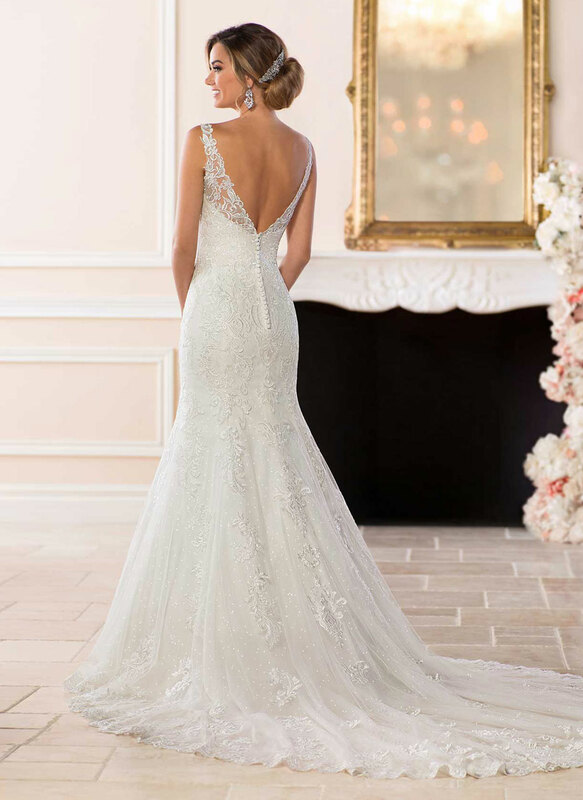 A unique peek-a-boo cut-out has sheer organza inserts and wide bands, making it modern and fashion-forward.